Hikari Ltd. is on Jeffrey Beall’s List of Predatory Publishers 2014, so I would recommend it’s removal from this site. I would also recommend adding a link to Beall’s List, it is very useful for selecting reputable journals and publishers. 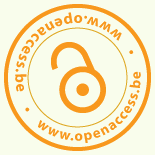 Instead, consider adding Hindawi and De Gruyter Open, both of whom have many engineering related Open Access journals. I have published with both of them and vouch for their acceptable level of quality.